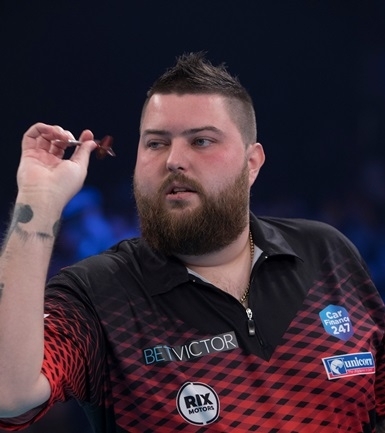 Michael Smith, Joe Cullen and James Wade are through to the quarter-finals at The Masters in Milton Keynes. And Cullen will play Wade in the last eight. The Yorkshireman secured a 10-6 win over Rob Cross, while Wade beat Gerwyn Price 10-7. But the most impressive performance on Saturday night came from Smith....an average of 102 as he saw off Ian White 10-5 in their all Unicorn clash on Saturday night. Incredibly there were eight breaks of throw in ten legs and the pair were locked at 5-5. But Smith came out firing. 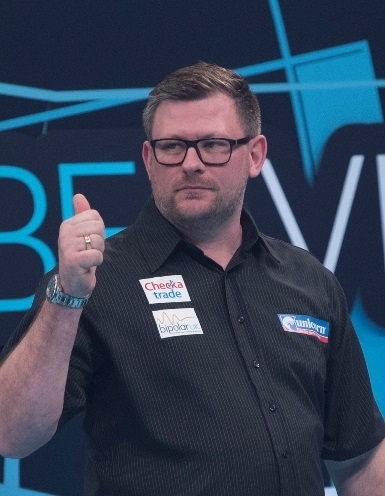 He hit two 13 darters, two 180s and won five straight legs to race through. He plays Peter Wright in the quarters. Cullen was superb on his Masters debut. Both players looked rusty but it was Cullen who hit the crucial doubles as he opened up a 4-1 lead. The Unicorn man missed ‘tops’ for a 160 finish, after hitting a first 180, to make it 5-1 as Cross threatened a comeback. Both players stepped it up with a succession of 180s. Cross took out 124 and won three out of the next four legs. But Cullen found an extra gear....a two dart 100 finish, four maximums in five legs then a brilliant 107 check-out after a 6th 180 to make it 9-6. He closed the match out on D8 with an impressive 96 average. Wade got the job done as Wade normally does! His 10-7 win over Price coming with an 86 average, but he took his chances when it really mattered. He was 6-1 in front and always in the box seat. 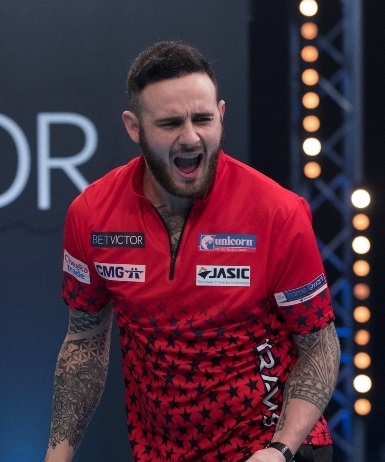 The Welshman did win three legs in the spin to get within two at 7-9 behind, but Wade finished him off on D6 as he chases a second Masters title.